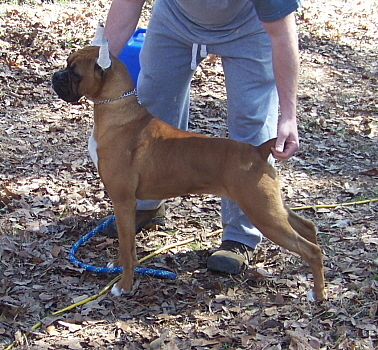 Billie Jean is the pick female from CJ's second litter. 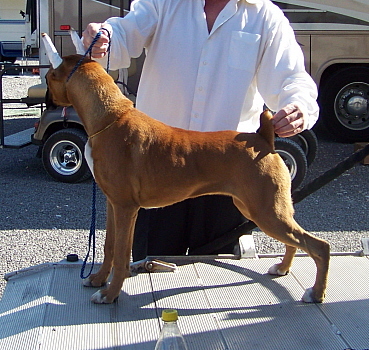 She is co-bred with Rhonda McNutt of Country Time Boxers. Billie Jean is co-owned by myself, Cindy Thomas, with Rhonda McNutt and she resides with Rhonda in Hartselle, Alabama! Rhonda and I have high hopes for her in the conformation ring in Canada so watch for her in the ring in the future!